Winter is a particularly challenging time of the year for your building’s HVAC system; condensation tends to form on the coil and this can freeze in the colder months, reducing air flow and heat transfer and severely weakening the air conditioning system or even leading to catastrophic failure. 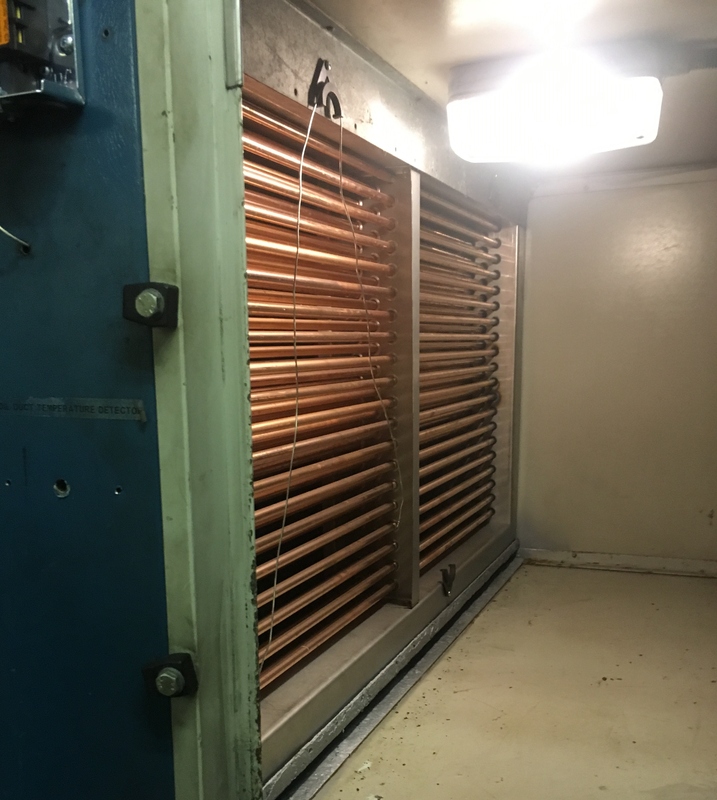 A frozen coil can cause devastating problems in a building – everything from water damage to a complete building shut down not to mention the downtime, disruption and costs associated with replacing a damaged the coil. Indeed, the coil is one of the most critical constituents in an air conditioning system and that’s why it pays to take extra care of this ubiquitous component. Properly conducted coil maintenance and repair offers a number of benefits. For example, it increases the lifespan of the air conditioning system; offers the opportunity to optimise the system to manage the unique needs of the building, improves energy efficiency and preventing breakdowns. But cold weather is not the only threat to coils. If they are covered with dirt, dust and debris, the compressor has to work harder to bring down temperatures just like the coils of a domestic refrigerator. A dirty coil will also struggle to absorb heat from the air efficiently. It will therefore use more energy and this, in turn, can cause the entire system to overheat and eventually breakdown. ECEX provides a range of coil services including repair and replacement of all tube and fin heat exchangers, design, manufacture, maintenance and cleaning; helping businesses extend asset life by keeping these essential components in good working order. We can repair and replace a wide range of coils, in heater batteries, water and dry air coolers, industrial radiators, evaporators and water chillers, covering condenser coils, fan coils, frost coils, DX coils and fin coils. Our coil repair services can take place on or off site. We will also undertake maintenance and cleaning of coils and associated equipment as well as design and manufacturing – we have a dedicated metalwork fabrication department. ECEX Air Intake Screens, meanwhile, extend the life, increase the reliability and prevent the clogging of coils by seasonal debris such as leaves and pollen. ECEX Air Intake Screens are long lasting, weather-resistant filter mesh products fixed to external intakes on air handling units, chillers and condensers. This protects coils before airborne debris, such as dust pollen and leaves, can clog the fins and reduce the efficiency of evaporator or condenser coils.